[April 2018] What types of programs can companies invest in to help improve the skills of entry level employees upon joining the workforce? According to the latest World Bank annual ratings, Thailand is ranked 26 among 190 economies in the ease of doing business. Thailand was also voted Number One in the ranking of the list of Best Countries to Start a Business for the second year in a row out of a total of 80 countries surveyed by the US News and World Report. And what a great country to run a business! The weather is great, the people are friendly, and Thailand offers a way of life, far more relaxed than we had become used to back at home. I don’t need to tell you this. So where’s the catch? If you ask any business owner, what he or she finds difficult in Thailand, it was probably not starting the business, and although the red-tape and visa regulations may be frustrating at times, these issues usually pass without incident. Often, the biggest challenge facing business owners in Thailand is that of people management and, specifically, the recruiting and retaining of the right people. 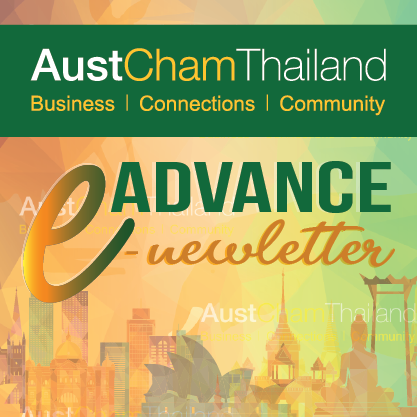 So what do you need to understand about employees in Thailand, what can you do to prepare yourself and how can equip your employees with the appropriate skills? One of the first things a foreign business owner discovers is the lack of problem solving skills and analysis skills the average employee has which is a direct result of the national education system. This may initially seem like an insurmountable problem but given time and patience it can be overcome. The first step is to work on developing loyalty in order to retain your staff. The next step is, of course, training. Assuming your HR department is screening effectively and recruiting people with the appropriate technical skills you will then need to create an effective onboarding program. Allowing them to meet with and understand the role of HR, direct managers and key co-workers. Training them in their job duties, company policies and procedures and team dynamics. providing employees with skills that can be immediately put to use with relatable job tasks and practice. Once you have your workforce prepared and in place, you can focus on developing their skills. The skills which you choose to develop will depend, of course, on their job function but these days it is clear employers in Thailand place a high value on 2 key areas: soft skills training and language development. If your workforce, needs to speak English either internally or externally then the developing this skill is essential. The first step is to assess their proficiency and then to identify the training gap which must be filled. It is important to understand that language development covers a wide range of skills and, the larger the gap, the longer this make take to achieve. In Thailand, the necessary inconvenience is to go slowly and be thorough, expecting your staff to ‘fill in the gaps’ themselves is culturally inappropriate and, in most cases, over optimistic. Soft skills can be a little harder to define but can include areas such as time management, organizational skills, communication skills such as making presentations and negotiating and developing general management or leadership qualities. Cross-cultural training may be important for new expats joining as well. This then leads to the question – which soft skills do my employees need to develop? Various studies place verbal communication, teamwork and time management at the top of the list of soft skills that employers feel are important in entry level workers. Skills that are more likely to lead to organizational growth include leadership and management skills though it may be necessary to first identify a high potential group for this goal. Management has the additional layer of being hierarchical in Thailand. Rarely do managers garner respect simply because they have clear leadership skills, there has to be a lot of relationship building and experience acquired before a team will accept a new leader. If your company is lucky enough to have a dedicated training and development department then you will find the management of your staff much easier. If not, then finding a partner to help you align your employees with your own organization may be the answer. If you don’t, and you want to ensure that you retain your staff and allow them to grow, invest in training and you may well achieve a knowledgeable and loyal staff that puts your business ahead of your competitors. Previous [April 2018] AI is Coming to the World of Recruitment: Should We be Worried?